The purpose of the Consumer Liaison Group (CLG) is to be the voice of the electricity consumer in advising the grid operator, ISO-NE. As you can read in this CLG annual report: The Consumer Liaison Group (CLG) is a forum for sharing information between ISO New England (ISO) and those who ultimately use and pay for electricity in New England. 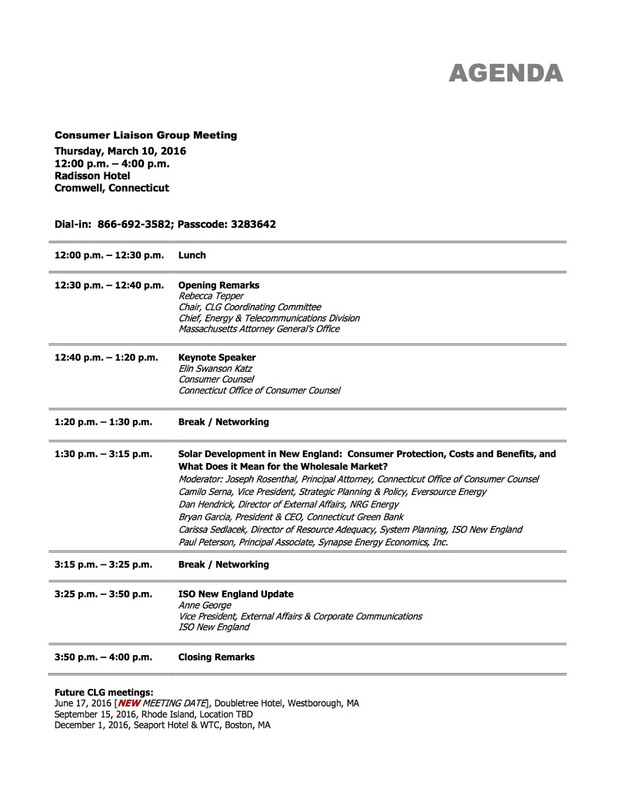 The next meeting of the Consumer Liaison Group will be a week from tomorrow, March 10, 2016, at the Radisson Hotel in Cromwell, CT. 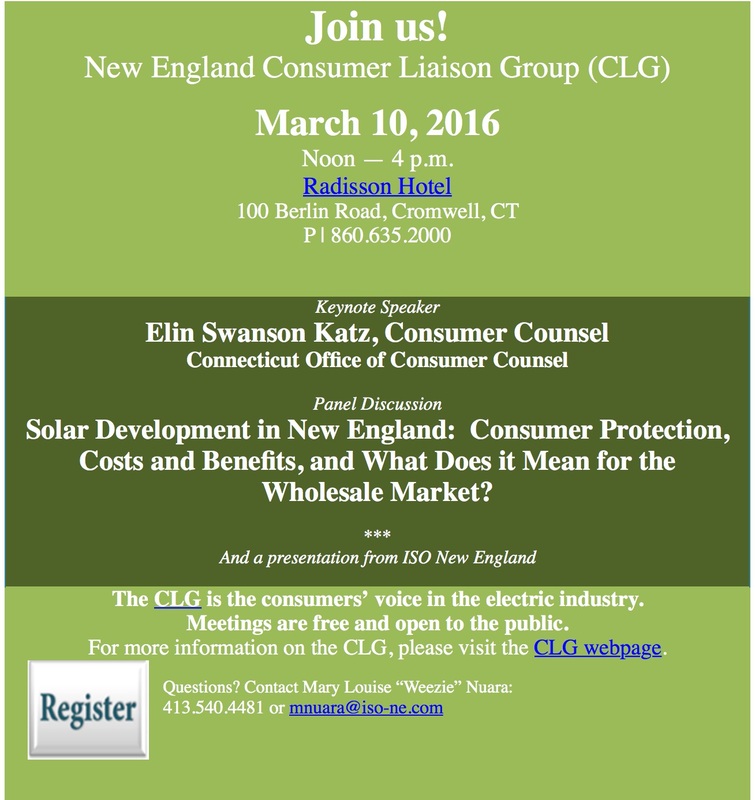 The topic will be Solar Power in New England. Note that one topic to be discussed is "Consumer Protection" as it applies to solar development. CLG meetings are free, but you should register in advance if you want lunch. Here's the information and the agenda. Since these are screen shots, the links do not work. Here are the links. You can also attend by phone, as listed on the Registration page. I am a member of the Coordinating Committee for the CLG, and I hope to see you there!